After years of birthing offspring for slaughter, Bertha’s time had come. Trembling in fear, limping badly, and filthy, Merciful Maiden Critter Haven intervened and brought Bertha to her new home and Merciful Maiden Critter Haven. The vet indicated that her leg was permanently damaged, but that she was not in pain. 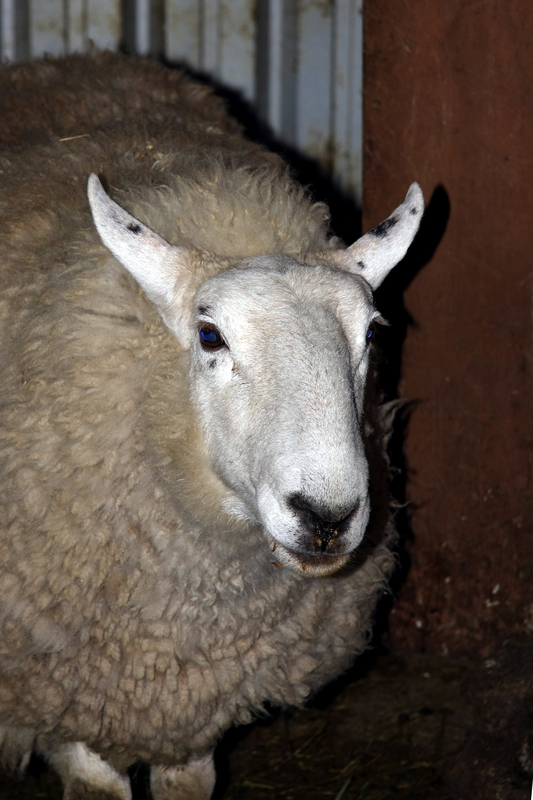 Now, Bertha is a happy, gentle ewe spending her last years in comfortable retirement.